French Champions Montpellier made history last season by lifting ‘L’Hexagoal’ for the first time, and on Tuesday evening they are set to add to this, making their Champions League debut. Preparation has, however, been far from ideal, picking up only one win in their first five league matches, including three defeats. Top scorer Olivier Giroud left for Arsenal in the summer, their new signings have been for the most part underwhelming, and the group spirit that helped propel them to the title has so far failed to lift them to success this season. It is Giroud’s new employers Arsenal that they face on Tuesday as the Stade de la Mosson hosts its first Champions League night, a team that has faced a similar start to La Paillade, on paper at least. Both teams have had to deal with the loss of their star striker and top scorer, both teams only picked up their first wins of the season the week before the first international break, and both teams looked to continue the winning feeling against newly promoted teams at the weekend. Their results could not have been more different. As Arsenal crushed Southampton on Saturday to go 3rd, Montpellier lay in 14th place in the league, having been beaten comfortably by Ligue 2 runners up Reims on Friday night. For all the talk of Arsenal’s struggles to score a goal (which has been comprehensively put to bed after Saturday’s result) they have added defensive steel this season that has not been present for a long time. Montpellier on the other hand appear to have lost the solidity that saw them win Ligue 1 with the joint tightest defense in the league. Signs were there on the opening day of the season, when they drew 1-1 with the league’s lowest scorers Toulouse, in the kind of game that they would have won 1-0 last season. This was then compounded when they turned a 1-0 win against Lorient into a 2-1 defeat in the final minutes of the match. They have yet to keep a clean sheet in their 5 games thus far. The loss of Giroud, too, has hurt them, as it would any team to lose a player of his class, while the jury is still out on his replacement Emmanuel Herrera, who it must be said is a different type of player. Yet it is possible to turn their form around. The loss of Giroud aside, the core group of players that showed such tenacity and group spirit to deservedly beat free spending PSG to the title remains intact. It cannot be forgotten that this is a group that rose to the big occasions almost without fail last season, holding PSG to a draw in Paris, winning in the last seconds against Lille, and then coming from behind to clinch the title with a win at Auxerre despite the game being delayed twice because of crowd trouble. There has arguably been no bigger occasion in MHSC history than tomorrow’s game, and there is every reason to believe that rather than being overawed, the players will instead rise to the challenge. It was not just spirit that propelled them to the title last season, however. Talent runs through the core of this team, from back to front. Mapou Yanga Mbiwa, Henri Bedimo and Younes Belhanda would not look out of place at a number of the higher seeded clubs in the competition, while Remy Cabella is a man in form, scoring at the weekend and in spectacular style for the French U21s during the international break. If these players were to raise their game in front of a fervent home crowd tomorrow night, then a positive result is a real possibility. In truth, it would be a surprise if the club were to progress beyond the group stage, given their size and their resources, especially when compared to the other teams in the competition. They are a team that cannot be taken lightly though; they faced exactly the same odds last season when taking on the financial might of PSG, a team whose spending would dwarf almost any team in the Champions League, and came out on top. They are not expecting to mount a similar title challenge this season, which will give them the freedom to have a real go in the competition, and, while Arsenal are a team that do not tend to slip up very often against the lesser teams in Europe, the draw has been a lot kinder to La Paillade than it could have been. They will consider home games against Olympiakos and Schalke potentially winnable, and if they can rediscover their defensive form from last season then they are capable of picking up points away from home. A surprise it might be, but qualification can not be ruled out. 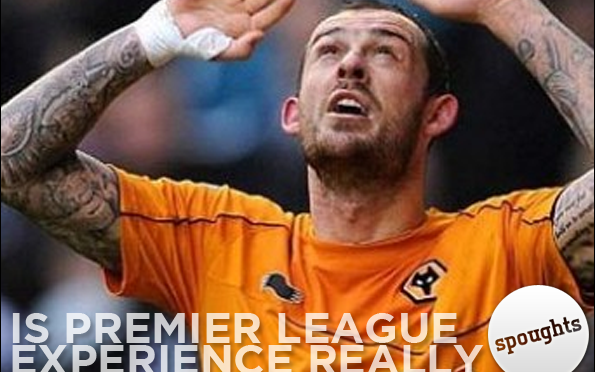 Is Premier League experience really that valuable? The domestic market is crazy. Liverpool fans know it, Chelsea fans know it, hell, everyone knows it. Inflated prices have been part and parcel of buying from divisional rivals for a hell of a long time. It’s old news, written about at length almost every time another transfer is made for yet another ridiculous fee. Why bother writing about it then? I’m glad you asked. What has provoked this article, inquisitive reader, is in fact a transfer that hasn’t happened, at least not yet anyway. 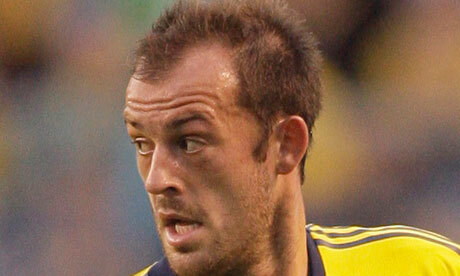 There’s no easy way to write this without it sounding ridiculous, so I’m just going to go ahead and say it: Wolves have turned down a £12million bid by Sunderland for Steven Fletcher. That’s right, £12milllion, deemed an insufficient amount of money by a Championship club. Apparently they value him closer to £15million. It almost goes without saying that Fletcher, while a decent player, is worth barely half of that. “Well, that’s fair enough I suppose, he’s their player and they don’t have to sell”, you might say, and of course you would be right, there’s no reason why Wolves should be forced to sell their best player for less than they feel he is worth. What makes the mind truly boggle is that Sunderland look like they’re prepared to go ahead and meet the asking price. Why? The obvious reason is, of course, that Sunderland are a team that are woefully short of options up front. They need a striker, and, with less than one week to go until the start of the season, they need one now. What makes Fletcher so appealing is the fact that he has Premier League experience: the club know what they’re getting with him, there are no worries about settling in or adapting to the English game. A fair consideration when handing over so much money, but is it really enough to justify paying such an inflated fee? Is his Premier League experience really that valuable? Surely there are other options that could do a similar job for a lower price. Highly rated Venezuelan striker Jose Salomon Rondon recently moved from Malaga to Rubin for €13million, or about £10million. PSG will be looking to get rid of a number of players as a result of their recent attacking purchases, including Guillaume Hoarau, who was favoured over Kevin Gameiro towards the end of last season. He currently has a market value of €7million. He would, in my opinion, do just as good a job as Fletcher. Besides, the fact that you know what you’re getting with Fletcher can in fact be used as an argument against his signing. He has experience in the Premier League, but experience of what? Two relegations either side of a 17th place finish. Yes, it would be more of a risk to spend the money on someone untested in the league, but with greater risk comes greater reward should it pay off – with Fletcher you know you’re getting a man who’ll score you 10-15 goals a season, but a player untested in the league could potentially bag you even more. What recent seasons seem to demonstrate, moreover, is that Premier League experience does not even mean the move would be successful. It would make sense paying over the odds for a player if it meant a guarantee of success, but the likes of Charlie Adam, Stewart Downing and even Fernando Torres show that simply is not the case. Look, I’ll be honest. I’m a Newcastle fan. Nothing would give me greater satisfaction than seeing a rival club pay way over the odds for a player who has done little to justify the fee, to be able to mock friends, classmates at uni, and even certain family members who support them. But, honestly, I hope they don’t sign him. It would take the already crazy domestic market and remove what little value there was left. If he flopped it would lead to the argument that “if Fletcher’s worth £15million then X is worth £20million”, and if he succeeded it would add weight to the notion that Premier League experience should make a player twice as expensive as they ordinarily would be. Perhaps I’m biased: the last high profile foreign signing my club made was Papiss Cisse, maybe I’d see the point of paying £6million more for a striker of less ability if my club had recently signed, for example, Asamoah Gyan. But honestly, I really can’t see the logic. When Shola Ameobi said in April last year that he still dreamed of playing Champions League football with Newcastle, reactions ranged from bemusement to outright howls of derision from some quarters. A topsy turvy summer followed, which saw the arrivals of classy french midfielder Yohan Cabaye from Ligue 1 champions Lille and powerful striker Demba Ba on a free transfer; but the departure of the influential trio of Kevin Nolan, Joey Barton and Jose Enrique – all 3 of them star performers in the club’s first season back in the premiership. Enrique left with the claim that the club would never again challenge for the top 6, a remark that many experts saw no reason to disagree with. Indeed some pundits, perhaps accustomed to the apparent tradition of self destruction at the club, predicted a struggle against relegation for the coming season. Ameobi’s dream of Champions League football seemed to be pure fantasy. 12 months on from Shola’s derided claim and only goal difference separates the Toon from returning to Europe’s elite competition. An already stellar season – one that has seen a demolition of the champions, an 11 game unbeaten run and not one but twoof the best individual goals seen at St James’ in recent years – could now be capped with what is, aside from winning the league, the ultimate aim of all teams in the division. The heroes of last season may have departed, but new figures have emerged. Ryan Taylor earned cult status after only two games with his freekick against Sunderland. Yohan Cabaye has given the side a touch of genuine class and formed one of the most formidable midfield partnerships in the league alongside Ivorian enforcer Cheik Tiote. Goal machine Demba Ba was at one point the most prolific striker in the league, his 16 goals propelling the team up the division. As a result of the early season performances of these players, United have occupied the European places for the majority of the season. 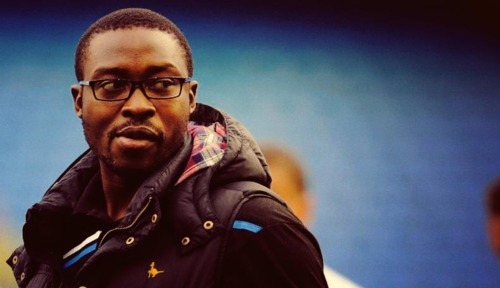 Yet it is only recently that people have truly begun to believe that Champions League football could be a reality, that Shola’s vision could indeed be realised, only one year on. This is a result of a sensational run of form that has seen the club win its last 5 league games – a run currently only bettered by Barcelona and Ajax in Europe’s top leagues. While injury and fatigue have understandably begun to affect some of the early season performers, others have exploded into life. Hatem Ben Arfa was used sparingly by manager Alan Pardew at the start of the season as he returned to fitness after a year out through injury, and as he adapted to the defensive responsibilities he was expected to fulfill without the ball. As a result he now looks fresh and back to his dazzling best, scoring and creating in equal measure, most recently running 70 yards with the ball to score against Bolton. In January signing Papiss Cisse, Newcastle possess the most prolific striker in Europe at the moment, the Senegalese hitman averaging a goal every 68 minutes. They certainly seem to have the attack to fire them into the Champions League, but it is also worth noting that the Magpies have only conceded one goal on their current winning run, something that may please Pardew even more than their prolific goalscoring form. Newcastle face a tough final run in: the always difficult Stoke, in form relegation battlers Wigan, rivals for 4th place Chelsea, mega rich Manchester City and FA Cup semi finalists Everton. However, if they can maintain their current form there is no reason that the Toon can’t pick up enough points from these games to take fourth place – particularly as rivals Spurs and Chelsea may be distracted by cup competitions. With Europa League qualification seemingly in the bag, bar a complete disaster, the team can attack these final five games knowing that the pressure is off. Certainly the fact that this is even a possibility is beyond the wildest dreams of even the most optimistic Newcastle supporter going into the season. As the apparent experts keep telling us, ‘no one could have predicted this’. No one that is, except Shola Ameobi. 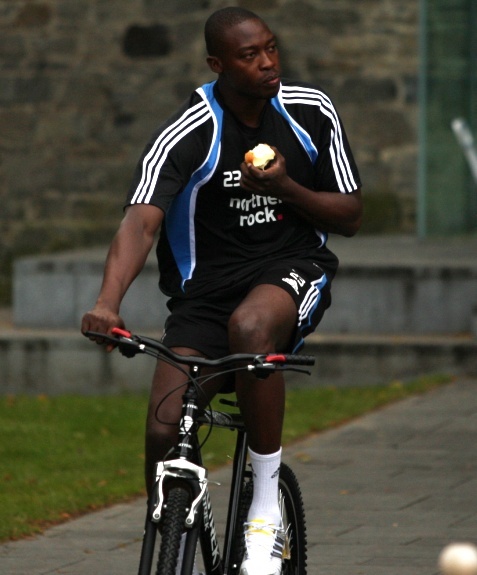 Follow Philip Buckingham on Twitter @philib57 for more Shola Ameobi based analysis of Newcastle United.